In the last few months my name has ‘snuck’ onto two articles published in peer reviewed journals. Whilst neither paper is likely to set the academic community on fire, I’m keen to share this news as I believe the theme of these papers does have value and may indeed be of interest to others. The connecting theme of the two papers, and much of the work I have been involved in over the last few years, is how to involve patients in healthcare improvement, management, evaluation and research in a meaningful way. Aiming for partnership, whilst avoiding manipulation and tokenism. To ensure meaningful patient involvement, infrastructure is critical, otherwise patient contributions to healthcare provision are likely to be superficial. NB: I will use the term ‘patient’ in this blog. However, I often use ‘service user’, ‘citizen’ or even ‘expert by experience’. Which is the correct term is beyond me, and appears to change over time and depending on who I speak with. For the sake of consistency, I will stick with ‘patient’ hereafter. We have been talking about ‘patient involvement’ in healthcare for many years. Most healthcare professionals agree it is the right way of working. Over the years, I’m sure many of us will have been to healthcare conferences where the subject is discussed, and patients may even have been wheeled out to share their experience of ‘being involved’. That’s nice. As a result of seeing these talks, some people may even have been inspired to read more about the subject, for example here: (http://www.ihi.org/communities/blogs/Pages/default.aspx#PFCC). That’s also nice. For me the issue focuses on how health professionals can cross the gap between ‘that’s nice’ to ‘that’s the way it is’. There are several models to help us better understand ‘patient involvement’. One of the most well-known is the ‘Ladder of Engagement and Participation’ based on the work of Sherry Arnstein (1969). This model sets out the different forms and degrees of patient involvement, indicating that patient activity only really becomes meaningful at the top of the ladder. The Ladder also helps health professionals identify and understanding the power imbalance between themselves and their patients. Whilst this model was developed specific to clinical care and interaction, the principles apply across all elements of healthcare provision. The involvement of patients in the two research projects linked to the two papers didn’t happen by chance. Where I used to work – East London NHS Foundation Trust (ELFT) – has systems in place to ensure patients (and their carers/family members) are involved in all aspects of healthcare delivery, including research and quality improvement. As a result of this infrastructure, patients are involved in all aspects of service provision including: selecting prospective staff (from the domestic staff through to the Chief Executive Officer), training staff, undertaking audits, collecting patient feedback data, members of quality improvement projects, developing and agreeing strategy documents… the list goes on! At this point I should also mention that ELFT is primarily a provider of mental health services, many of the people involved in this work have a history of mental ill health. This has never been a barrier to involvement. 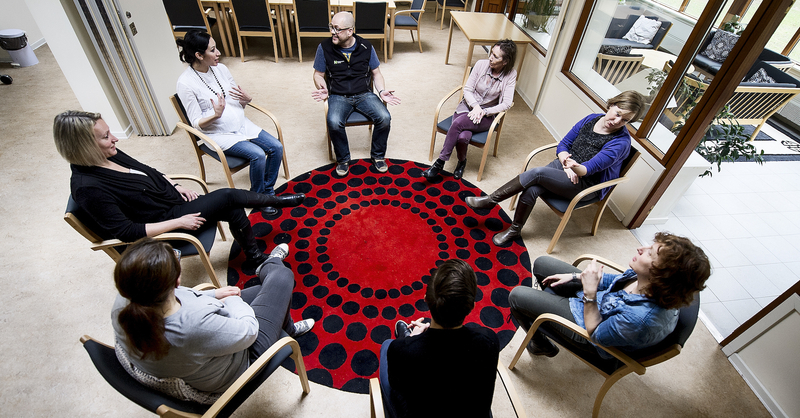 They wanted to ensure that a range of voices from those with lived experience of mental health services was heard in a systematic way by those conducting research into mental health nursing and services. Inspired by the motto ‘Nothing about us, without us’, SUGAR was created. The impact of their work has been significant. The ‘Safewards’ program (http://www.safewards.net/) is just one example of a research SUGAR have been involved in over the years. Without this ‘patient involvement’ infrastructure, and the knowledge and experience gained from these resources, the two papers I was involved in would not have been possible. Of course, these papers are only a very small example of what can be achieved with proper patient involvement infrastructure. The real impact is felt across all facets of service provision, as indicated by ELFT being one of only two mental health providers in England to be rated ‘Outstanding’ (highest rating) by the national inspectorate. Genuine patient power across all aspects of healthcare can feel daunting. It has taken many years to develop the systems described above. However, I believe the benefits of investing in these resources far outweigh the anxiety associated with sharing knowledge and power with the people who use health services. What infrastructure is in place in your hospital to support meaningful patient involvement? What examples of patient power (partnership, delegated power, patient control) can you share?